We believe in the power of stories to educate and inspire change in our community. Words of Hope is Caritas of Austin’s largest annual fundraising event. Each year, the event features an author or prominent individual whose story reflects the mission and work of Caritas of Austin. The Harvey Penick Award for Excellence in the Game of Life is also presented during the evening’s program. The 2018 event raised a record-breaking $491,400 to prevent and end homelessness in Austin. 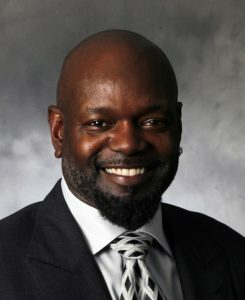 Emmitt Smith first rose to prominence via an illustrious football career, which included three Super Bowl championships as a member of the Dallas Cowboys and induction in the Pro Football Hall of Fame. Smith is the NFL’s all-time leading rusher, and his charm and charisma made him one of the sports world’s most popular personalities during his playing career. Smith is now a successful entrepreneur and philanthropist, and he is passionate about sharing his personal and professional stories across the country. During the 2018 Words of Hope Dinner, Lynn and Tom Meredith were honored with the Harvey Penick Award for Excellence in the Game of Life. 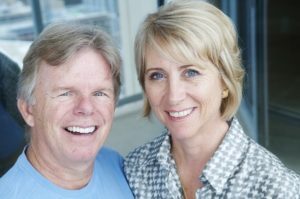 Together, the couple founded the MFI Foundation and have been deeply involved with numerous organizations including Austin Children’s Museum, Ladybird Johnson Wildflower Center, KLRU, and Waller Creek Conservancy. We are inspired by their lifetime commitment to making Austin more vibrant for all. Learn more about the Harvey Penick Award.